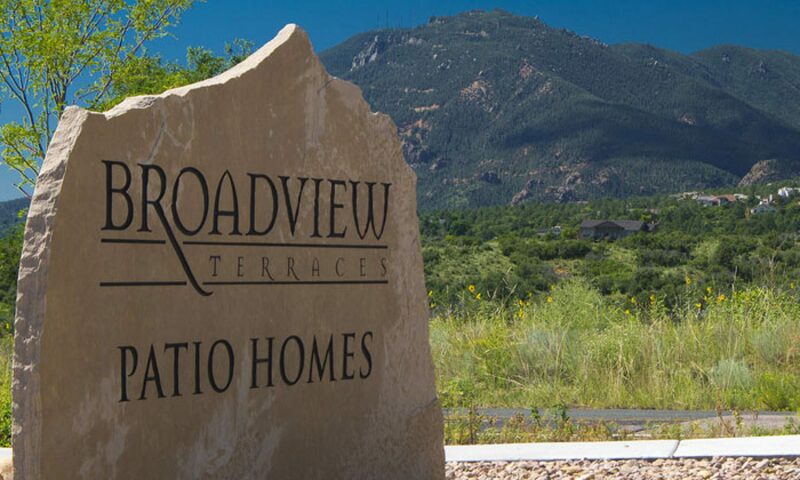 Broadview Terraces is the newest gated, luxury home community nestled in the foothills of the west side of Colorado Springs. This low-maintenance, luxury patio home community offers five beautiful ranch style floor plans ranging from 1811 to 3500+ square feet. These quality patio homes have many upgraded finishes and fully finished basements with 9 foot ceilings, stucco, stone and tile roof exteriors. Are you ready to move? Or eager to make all your own choices and build from scratch? Pick Your Lot, Pick Your Floor Plan & Then Let’s Customize To Suit You! Please stop by or contact us today to get details on this exciting new community. Contact us for a Private Showing at 719-428-5354 or stop by our Model Home.